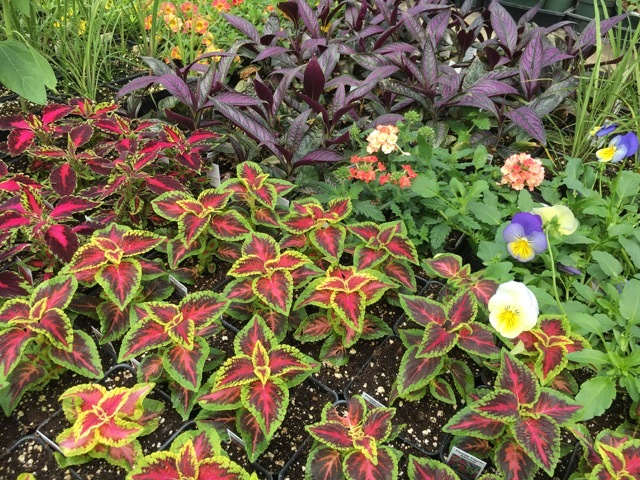 We are often asked at the greenhouse about the current trends in gardens: color combinations, easy-to-grow perennials that reward you year after year, and nifty projects that are functional and beautiful. 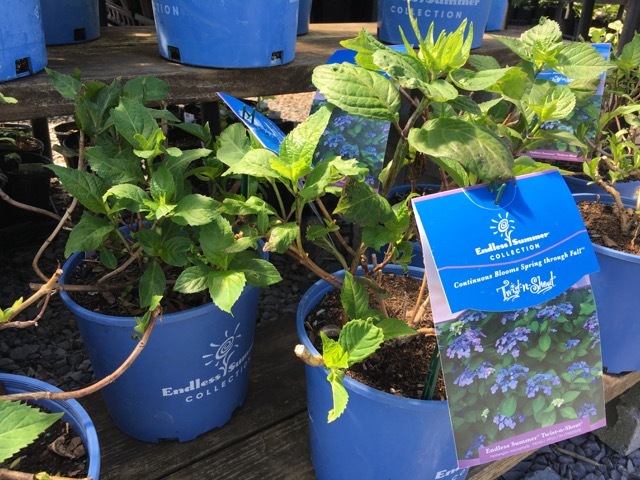 Here’s our scoop on some garden trends for 2017 based on our industry knowledge as well as what we see in and around the Saratoga Springs area. All of the photos were taken at our greenhouse in late April and represent some of the hundreds of flowers and plants we currently have in stock. As people become increasingly interested in their natural environment, more customers are turning to native plants: species that actually grew here originally and are adapted to thrive in this climate. Similarly, the popularity of using other natural elements (rocks, wood) from this area is also on the rise. This native shrub, the black chokeberry, has white flowers and purplish black berries. 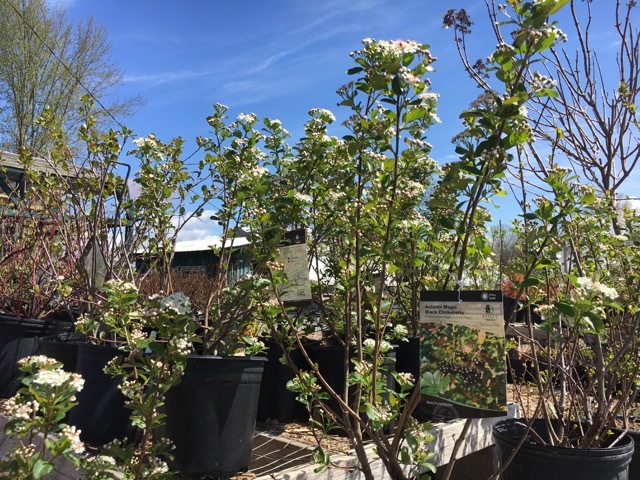 After years of pruning larger shrubs, new dwarf varieties are popular as people downsize their houses and outdoor spaces and realize they can cut their workload by choosing the right shrub for the space they have to fill. The “Twist n Shout” is one of the newer lacecap hydrangeas on the market, with pink and bluish-purple blooms. Heightened interest in healthier food has spurred people to grow what they can in traditional garden beds, raised beds, and containers. We can make recommendations for vegetables, herbs, and fruits you can enjoy, no matter the size of the space you have available. Ask about our popular “pizza garden” planter, for example. 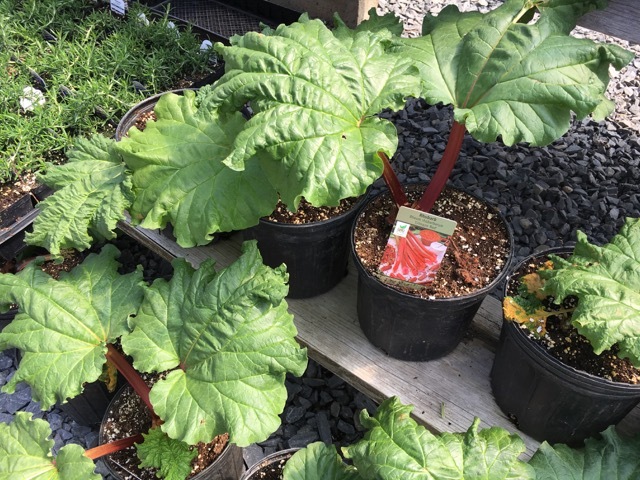 Rhubarb is a perennial with edible, colorful stems and toxic, broad green leaves. Following fashion trends, many gardens will feature bright and bold color combinations this year. 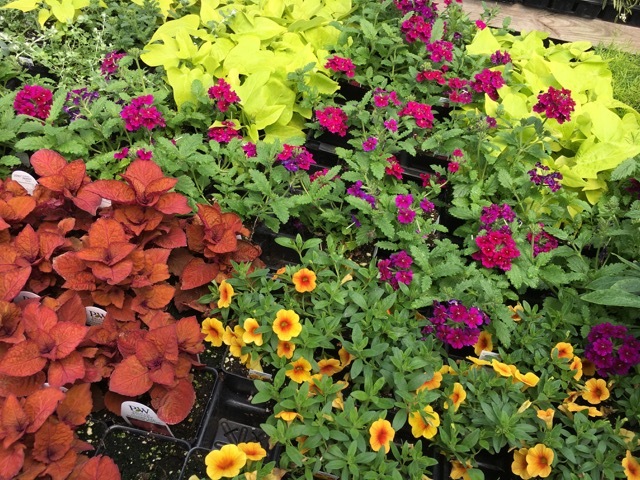 Of course, color palettes are always a personal preference and you should plant what you like! Add a burst of color in sun or shade garden beds with diverse plants and flowers.